The board of directors said it was due to mounting allegations of misconduct by the famously volatile media mogul. But privately Weinstein suspects something else. 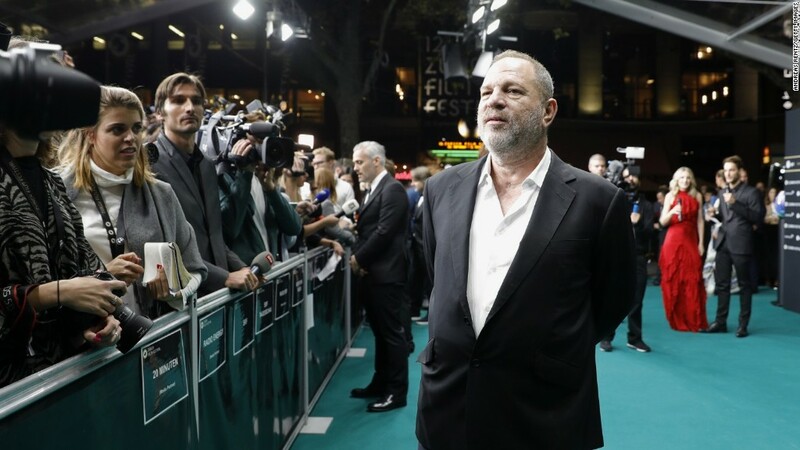 "Harvey is convinced that this was a takedown," a longtime friend of Weinstein's said Monday. Specifically, Weinstein has been telling confidants that he believes Bob is behind last week's damaging New York Times investigation and the board's subsequent decision to fire him. "He feels betrayed by his brother," the friend said. This account was confirmed by two other sources with knowledge of the matter. But it strikes some onlookers as nothing more than an excuse by Weinstein -- a convenient alternative to the prevailing view that decades of improper behavior has finally caught up to him. A spokesman for Bob said he declined to comment on Monday. A spokesman for Harvey did not respond to multiple requests for comment. Harvey co-founded The Weinstein Company (TWC) with his younger brother Bob in 2005. But the relationship between the two men has been strained for several years. While the elder Weinstein is known for being the outspoken -- at times abrasive -- public face of the studio's art house Oscar-contenders, Bob Weinstein has a reputation as the quieter of the two, focused on producing horror movies under their Dimension Films label. Bob was one of the board members who voted to terminate Harvey on Sunday. He has said nothing publicly about the decision. The two brothers have barely spoken in the days since the Times story came out, two of the sources said. Bob and the company's chief operating officer and president David Glasser are now jointly running the imperiled studio. Harvey Weinstein has told friends that he blames both Bob and Glasser. Related: Harvey Weinstein has been fired. So what's next? Harvey is "humiliated" by the stories about his alleged pattern of harassment, one of the friends said. He was uncharacteristically quiet after being dismissed by TWC on Sunday night. He did not issue a statement or make any other comment on Monday. But sources said some people at TWC are bracing, knowing he's not likely to stay quiet for long. Harvey Weinstein is not the only figure under scrutiny. There are a row of outstanding questions about how much the company's board members -- including his brother Bob -- did or did not know about his conduct with women. The Times story last Thursday cited "two company officials" who said Weinstein had paid at least eight settlements to women over the course of decades. The attribution in the story -- indicating sources and knowledge inside the company -- is one of the reasons why Weinstein is suspicious of his brother, according to one of Weinstein's friends. Page Six alluded to this possibility in a gossip column item last week, before Weinstein was fired. "It's Cain and Abel -- Hollywood style," the gossip column said. "Disgraced movie mogul Harvey Weinstein may have been stabbed in the back by his own brother, who, sources told The Post, has been trying for years to replace his sibling as the sole head of their marquee film studio." Because Harvey was terminated, he may not receive any severance or other payment from TWC, which could further exacerbate tensions between the brothers. There are other factors as well. Bob's own knowledge of the harassment allegations is an open question. Also on Monday, new information came to light about Harvey Weinstein's last-ditch attempt to save his job. He emailed several media industry CEOs and agents prior to being fired on Sunday to ask for private expressions of support that might sway the board. "My board is thinking of firing me," he wrote in the email, which was first published by Janice Min. A source confirmed its authenticity to CNN. He wrote: "We believe what the board is trying to do is not only wrong but might be illegal and would destroy the company. If you could write this letter backing me, getting me the help and time away I need, and also stating your opposition to the board firing me, it would help me a lot. I am desperate for your help. Just give me the time to have therapy. Do not let me be fired. If the industry supports me, that is all I need." The tone of the email indicates that Weinstein was in a fighting mood -- which further raises the possibility of a fiery response to his termination.